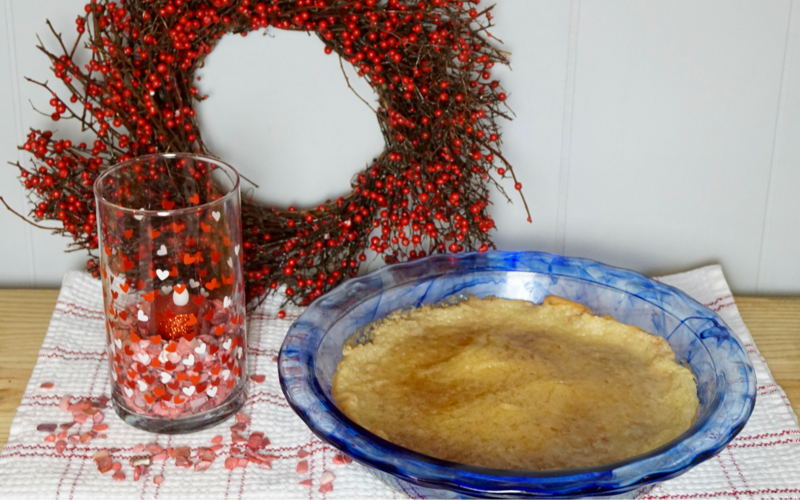 Sugar Pie is the Perfect Valentine’s Day Recipe! It’s February and what is everyone reminded of clearly, almost right after Christmas, is Valentine’s Day! All this month we will be showcasing delectable sweets. All are easy to whip up but your Valentine will think you worked hard all day in the kitchen for their sweet! 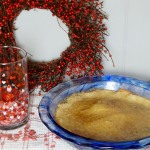 I have always seen the recipe for Sugar Pie but never was brave enough to try til now. Be forewarned, you will only need small servings as this dish is mainly sugar. But what’s not to love about sugar, right? For most of the pies you bake, you can’t go wrong with the refrigerated dough you roll out. You can find it in the dairy section, usually with the canned biscuits and breakfasts pastries. the freezer ones are okay if you can’t find those or you can make from scratch if you are so inclined. I used to do that but have found the store bought ones are now just are good and less trouble as homemade. I don’t say that about many foods but for this, oh well, time is short and we have a pie to bake. 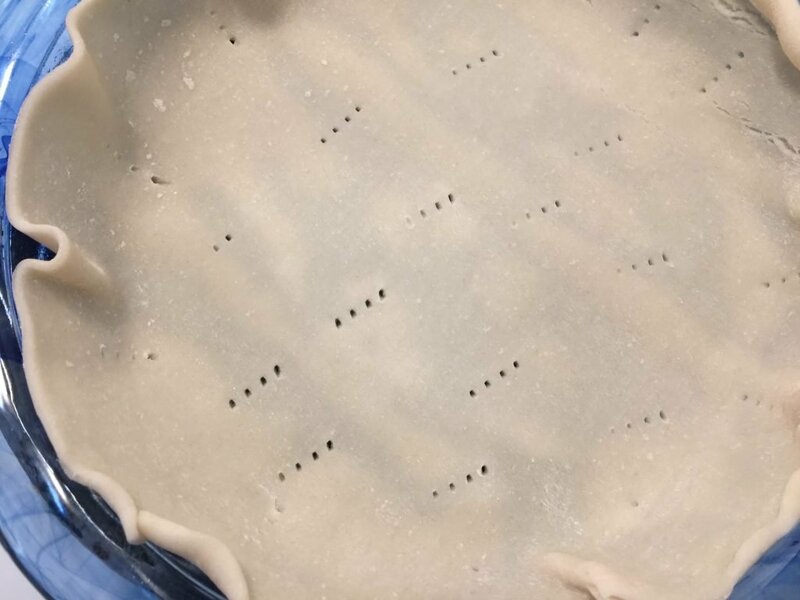 For the refrigerated crust, be sure you spray your pie pan liberally. Because you are essentially double baking the crust, these kinds of crusts really like to stick. It would be a shame for your beautiful pie to be ruined when the piece you try and serve comes out in pieces. 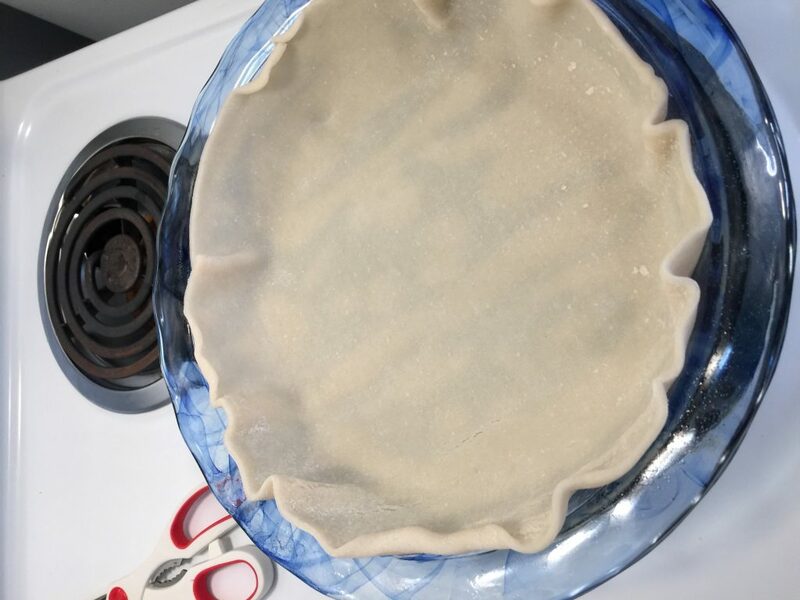 After your piecrust has been placed in the pie pan you can pop your pie crust in a 350º oven for about 15 minutes. This will partially bake so your pie won’t have a soggy bottom. A trick my mom taught me was before your crust goes in the oven, take a fork and prick the crust all over the bottom and sides. This will take care of any bubbles rising up, which is steam forming. When this happens, your pie may not get done all the way. Also, make sure your pie pan is on a cookie sheet. The extra heat from the cookie sheet will ensure the pie bottom will be well cooked from underneath. 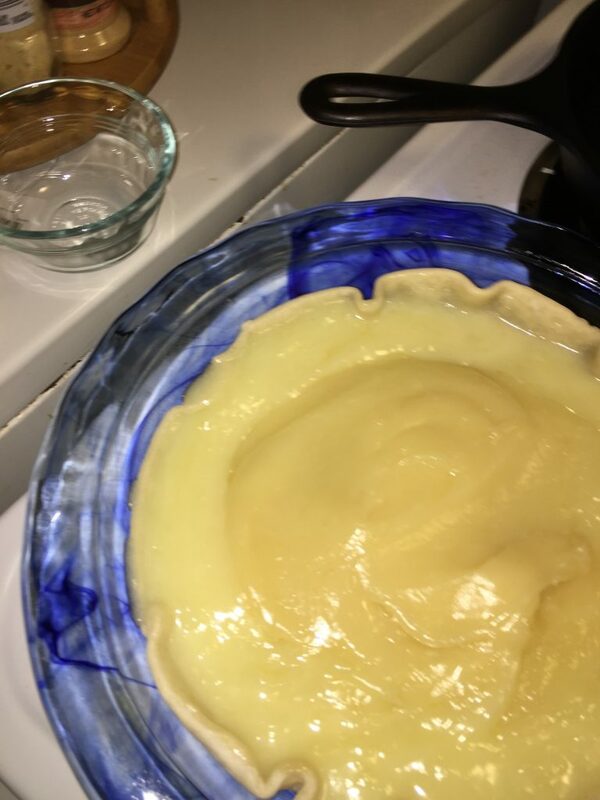 While your piecrust is baking, you can mix the pie. Sift together the sugar and cornstarch. In a small saucepan, melt four tablespoons of butter then add your heavy cream. Once this is incorporated, add the cornstarch mixture. Stirring constantly, over medium heat, bring to a low boil until mixture thickens. 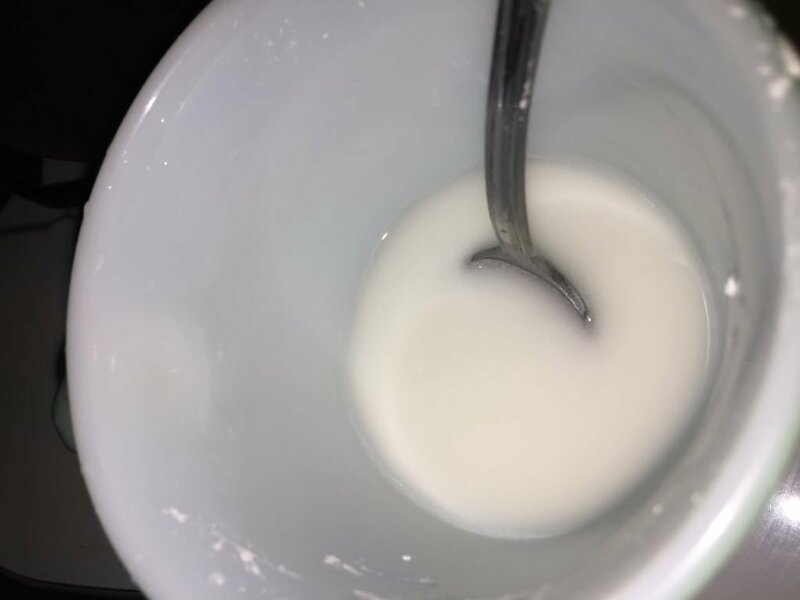 Remove from heat and add vanilla, stirring well. Your piecrust should be ready and out of the oven. It does not need to be cooled before you add the pie mixture. Add the mixture to the prepared crust, smoothing out with a spatula. The topping is what makes this pie so decadent. 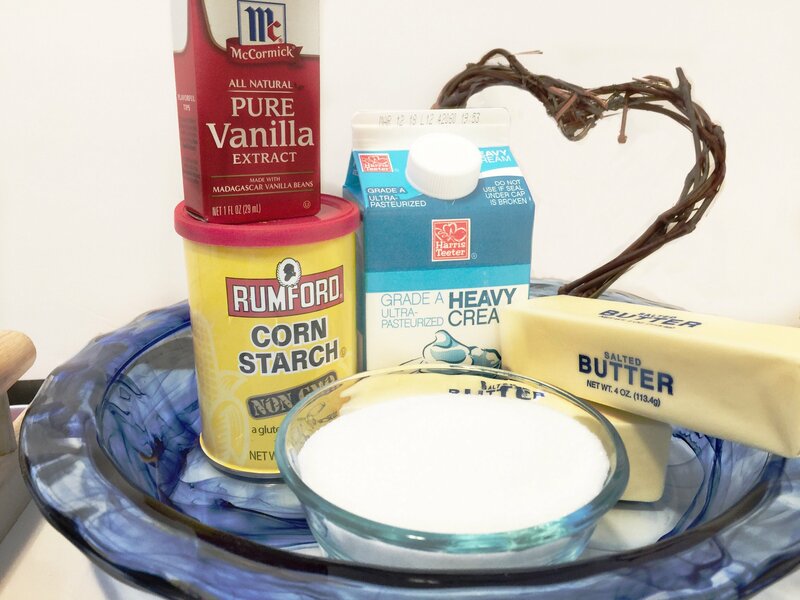 You will melt the other four tablespoons of butter and to this add 1/2 cup of sugar. 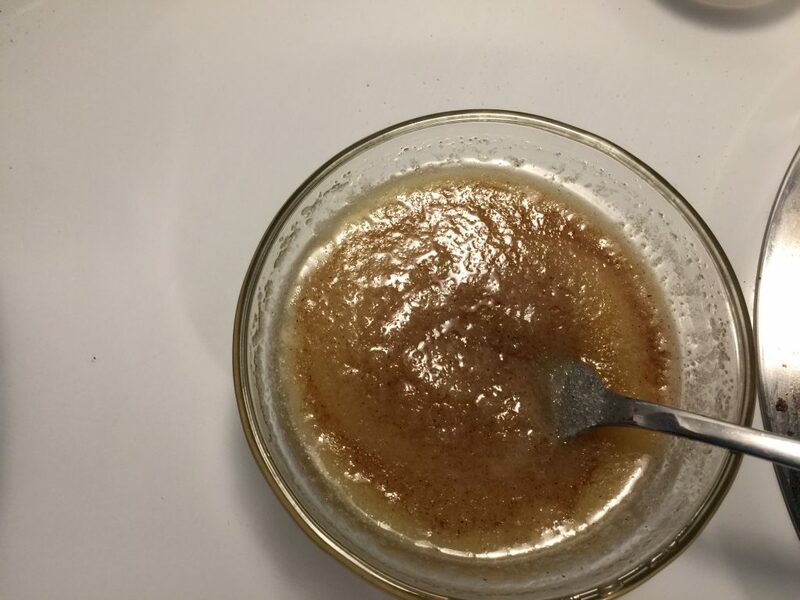 Stir this until the sugar is mixed well and add cinnamon. Now drizzle sugar mixture over pie until it is completely completely covered. Place back in the oven for 25 minutes and then turn the oven to Broil for one minute. Please watch carefully, not letting it go beyond the one minute. 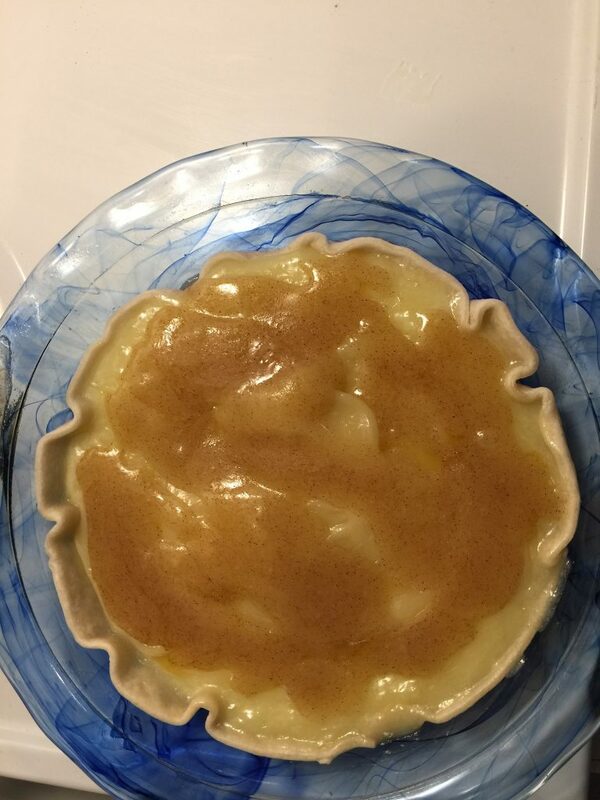 The broiler gives the pie that nice warm glow and also hardens the sugar surface almost giving it a creme brulee type of texture. 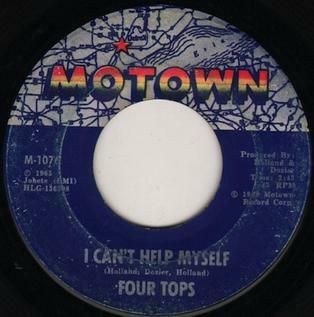 All that’s left now is to put on the Four Tops and hit the dance floor with your sugar pie! Preheat oven to 350. Place piecrust in oven for 10-15 minutes until bottom of piecrust is partially baked. Remove from oven and sit out. 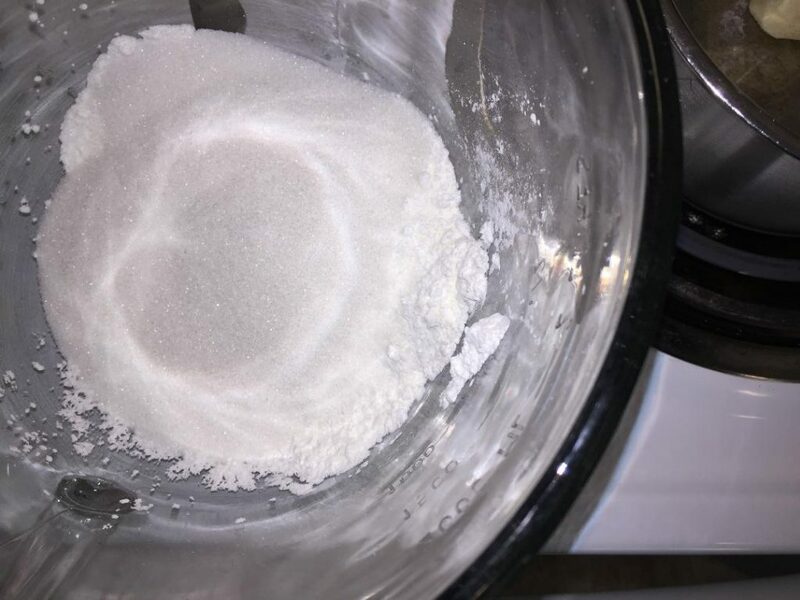 Mix the sugar and cornstarch together until blended. 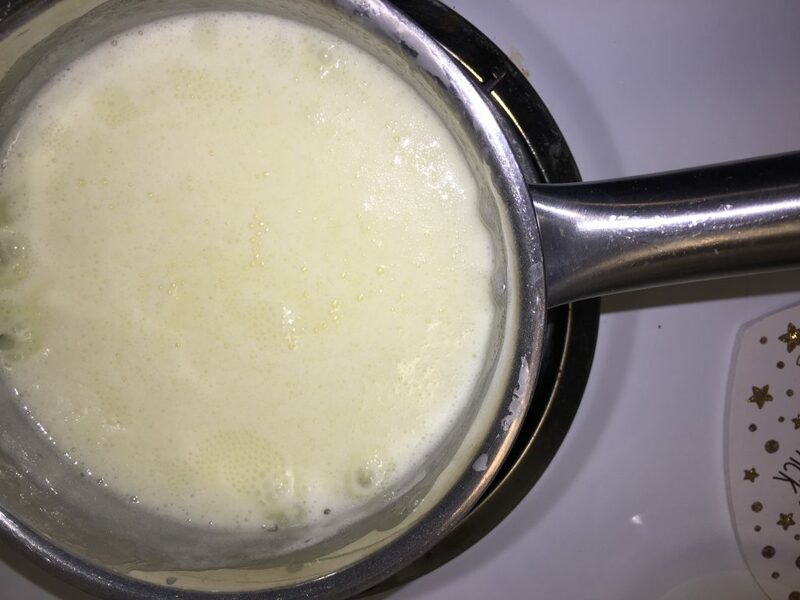 In a small saucepan, melt the butter and heavy cream over medium heat, stirring continuously. Slowly add cornstarch mixture. Let this simmer until it has thickened. Pour mixture into piecrust smoothing out with a spoon or spatula. 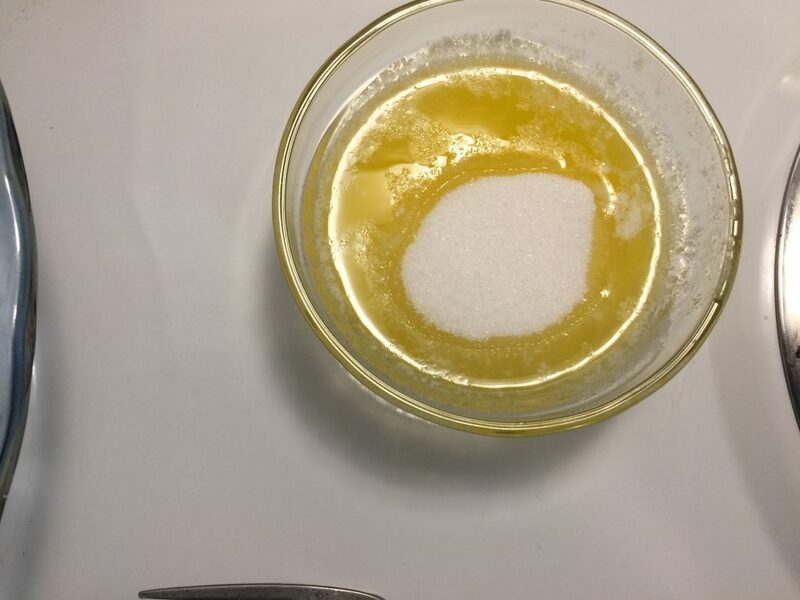 For the topping, melt the other 4 tablespoons of butter and add the 1/2 cup of sugar until the sugar is dissolved. Remove from heat and add cinnamon. Drizzle over pie, completely covering. Place on cookie sheet and bake for approximately 25 minutes. Turn broiler on for 1 minute watching pie carefully, then remove. Next week we will make Cherry Yum Yum!